IT’S the biggest free to air television deal in history and it’s set to bring State of Origin rugby league to Sunday night. And the NRL is laughing all the way to the bank with its new four year deal with Channel Nine, which will show four live games a week from 2018, worth $925 million. And a record number of viewers are set to watch the Sunday Origin game, with online bookmaker sportsbet.com.au predicting the first game to have between 2.8 million and three million viewers at odds of $2.25. 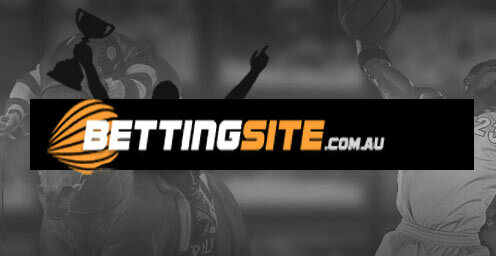 The bookie’s Will Byrne says that over three million viewers is a $5 chance, while over 3.2 million is an $11 outsider. “Less than 2.2 million is also at long odds of $9,” Byrne said. “Meanwhile the Sunday night showing of game two is expected to beat both the opening ($7.50) and closing ($2.25) games of the series at $1.85. One man who is pretty happy with the revamped Origin look is Queensland coach Mal Meninga. While he hasn’t signed on to continue as coach just yet, Meninga said the deal was a “win win”. “From an Origin point of view, I’m happy with the scheduling,” Meninga said. “Sunday night, standalone representative weekend, I think that’s smart. “We don’t know the intricacies of it all but I’m assuming that all the players will be playing for their teams the weekend before the standalone weekend. “That’s a couple of days less preparation, so they’ve just got to be managed a bit smarter, as they do week to week. “We’ll probably have a bigger squad leading into game one, just to cater for game two. “My thoughts, I think it’s great. “It’s got to favour the NRL clubs, one less game that they’re missing their players. “I think it’s a fairer system. “Having a shorter timeframe, one less week, and having them more available for the clubs, I think it’s a bonus. Meninga said he hoped the new deal would help broaden the NRL’s reach. “We need to broaden our participation rates and get our second-tier competition even stronger,” Meninga said. “That’s an important part and these new TV rights that have been negotiated with Channel Nine go some way towards that. “It opens up our viewing audience a bit more particularly in the regional and rural areas. Under the deal, matches will be televised live on Nine on Thursday, Friday and Saturday during prime time and on Sunday at 4pm. NRL chief executive officer Dave Smith said the new deal would double the number of games shown live on free to air. “So the future of the game is in great shape. “We will be able to schedule the best games when fans want to see them – and ensure all clubs receive the coverage they deserve on free to air television. “It’s four games in prime time for free. “It allows us to appeal to more people, especially those in regional areas who can’t get to games. “It’s all about the fans. “You’re going to bring more people in. Under the agreement, the NRL will play one less round, 25 instead of 26, the second Sunday Origin match will be the culmination of a weekend of representative football. More international rugby league will feature following the season and only one split round. “In other words, we are preserving Origin as a marquee event of the year while minimising disruption to the Premiership,” Smith said. “This will not only improve player welfare but it will be fairer for the clubs and fans. As far as the Premiership markets go, Byrne reports the North Queensland Cowboys are the best backed for the flag, ahead of the Brisbane Broncos, and reigning champions the South Sydney Rabbitohs. At CrownBet.com.au, the Sydney Roosters are the clear favourites after piling on 38 points against the Newcastle Knights. The third placed Roosters won 38-22 and many think they’re the team to beat, despite the Cowboys ($4) and Broncos ($5.50) sitting above them on the ladder. A hat trick to Roger Tuivasa-Sheck was the catalyst for the Roosters’ big win, after they led 26-0 at half time, but had to fight off a spirited second half effort from the Knights. The Cowboys did themselves no favours in the market, though, with a disappointing effort on the road against the Cronulla Sharks ($16), falling 30-18, while the Broncs lost a nail biter to the Canterbury Bulldogs ($11), 18-16. The Rabbitohs are out to $9 after being walloped by the ninth placed Manly Sea Eagles, 28-8, who will now fancy their chances of making the eight and perhaps causing an upset, rated a $17 chance for the flag. The Melbourne Storm are the only other team in the market, rated a $17 chance after whacking the Gold Coast Titans, 36-14.